Women who want to beautify their face ask for quite often making changes in their noses. The nose surgery is a surgical procedure that can produce changes in the appearance , structure and function of the nose. There is no universal type of rhinoplasty that meets the needs of every woman. The surgery is designed exclusively for you , depending on your needs. Rhinoplasty, surgery that is acting on the nasal bones and cartilage, and can reduce or increase its size, decrease or increase the nasal dorsum, change the shape of the tip, narrow the width of the wings, or change the angle between nose and upper lip. This may also help correct birth defects and other nasal lesions. Lasepto – rhinoplasty is the technique used to correct deviations from the nose and some breathing problems in this technique also works on the inner wall of the nose. Surgery of the nasal tip is one that acts only improving the appearance of this area of ​​the nose ( nostrils, domes, or nasal columella foot, and nasolabial angle ), and helps to improve the aesthetics of the upper lip. It is performed under general anesthesia, and often accompanied by local anesthesia with deep sedation. It lasts about 1 to 2 hours, not requiring prolonged hospital admission ( a few hours or overnight). The incisions can be made inside the nostrils ( closed rhinoplasty ) or concealed in inconspicuous locations when an open rhinoplasty is performed . If necessary, also spoke on the internal nasal septum. At the end of the intervention a moldable protection that protects the nose is placed , and should be carried for a week. 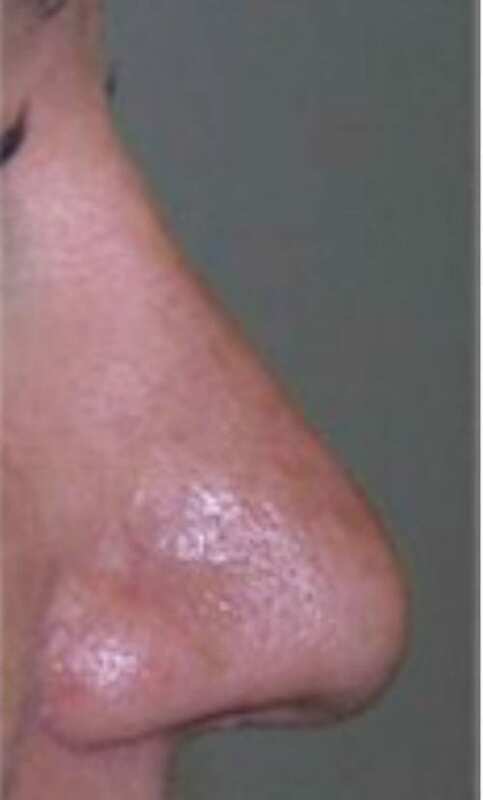 Some small nose plugs , which are removed within 24 hours in most cases complete the procedure. You can go to your home and take analgesics to control moderate postoperative pain for several days, although not a usually painful surgery. The nasal packing will be removed before discharge or within the following 24 to 48 h in the clinic of Dr. Terrén. Rest for the first few days and should avoid large efforts. The postoperative period runs with possible discomfort from inflammation , bruising or tightness . Local cold may be applied by ice packs, take anti -inflammatories, and use cosmetics to hide the bruises. You’ll sleep with the head slightly elevated. Nasal protection is removed at 7 days, and if any skin sutures. In subsequent weeks it should go several times to the clinic of Dr. Terrén. During these visits, Dr. Terren and his team monitor the proper postoperative course and personally answer all your questions and comments. Also have access to a telephone number for any urgent requirement. Normalizes respiration in 3-4 weeks. The nose remains harder than normal for a few months , but returns to be soft and sensitive from the 6-8 months, based on your skin type. The final result is obtained after about 10 -15 months, several follow-up visits to be necessary during the recovery period. The length of the result is permanent. The best candidate for this type of surgery is a woman seeking improvement in their beauty, not perfection , have realistic expectations , good health, and psychological stability are important characteristics in a woman who is considering performing a rhinoplasty. Women who want to beautify your face frequently requested with making changes in appearance, structure or function of their nose. The aim of blepharoplasty or eyelid surgery, is to remove excess skin or sagging skin and fat bags of the upper and / or lower eyelids.